Opening of trout season is just a week away now – so I feel the usual heat of cabin fever. To dampen the worst symptoms I am tying flies and making a lot of new fly tying films for my YouTube channel. 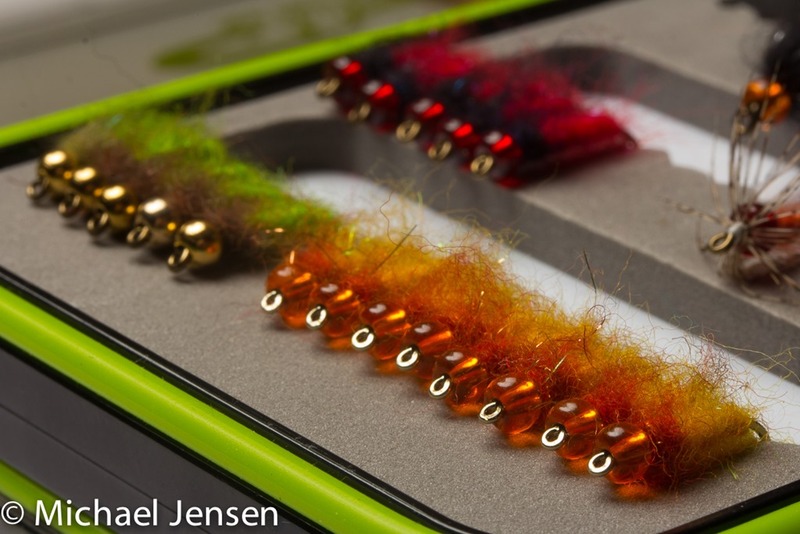 The last couple of days a bunch of bead head nymphs has been piling up under my fly tying vice. For the heavy weight versions I use metal bead – typically brass, steel or tungsten. 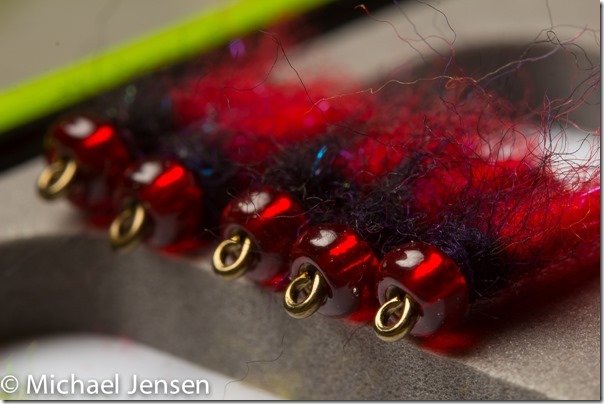 For the mid weight nymphs I use glass beads. Here are some of the flies. Most of these use two colours of Woolly Sparkle Dub and a single bead. That’s all, folks.